As a young trumpet player, I thought my trumpet playing status was in direct relation to how high I could play. I tried to screech out notes well beyond what my lips could handle. I tried every trick mouthpiece on the market. Then in 8th grade it hit me. My mother told me, "Aaron, that girl next to you is a great player, why is she better?" I was beyond insulted. I could play higher, louder and faster, everything I worked at doing. So how could anyone be better? Tone! The players who were better than I simply had a better tone than I did. Sure, I could play higher and louder, but to the majority of listeners, they heard good tone and then they heard me squawking all over the place. After that concert I made the decision to focus on my sound, and let the other aspects of my playing wait until my sound caught up. Your sound is the single most important aspect of your playing. If you have a harsh, airy, unfocused sound, nobody will want to listen to you. However, if you have a rich, dark, full sound, you will win over almost every listener every time. In college there were always players that had better fingers, or could play higher or had better flexibility, but I always had the market cornered in tone. Tone is one of the hardest things to work on in my opinion. Here are a few tips to help you work on your sound. First, you must have a complete concept of the sound you are trying to achieve. When you understand where you are going, it is far easier to get there. In last week's article, I mentioned several professional brass players who exhibit excellent articulation. No coincidence they also have great tone. Listen to these players for their understanding of tone, and strive to match your favorite. Second, the warmup is not the only place you should focus on your sound. Many players will only work on technique such as articulation, tone and flexibility during their warmup time. I suggest working on all of these things, ALL the time. When you are working on a solo or etude, focus on accuracy and your sound. You cannot sacrifice articulation, accuracy or volume for tone quality. Third, the best exercise I have for working on my tone is call the "20 minute G." Cat Anderson, a lead trumpet player from the big band era, came up with the 20-minute G exercise. It is as simple as it sound. Play G on the staff for 20 minutes as softly as you can with a full sound. Anatoly Selanin, a fantastic trumpet teacher from the Saratov conservatory, told me "Aaron, you must get the sand out of your tone." Roughly translated, he meant that my sound was airy. He gave me this exercise and he promised if I did it every day for two weeks I would have the best tone in the trumpet studio. So I did it. He was right. My sound became rich and dark, and I was never happier with my playing. Fourth, record yourself. I don't believe you can truly hear your sound while you are playing. The best way to get inside your own sound is to record a practice session and then listen to yourself critically. This allows you to hear every flaw and every perfection you have achieved. I issue a challenge to all of my readers. DCI and I are teaming up to give one of you some free merchandise. Here is what you have to do. 1. Play the 20-minute G exercise every day. 2. Record yourself playing the exercise daily. 3. Take a one-minute segment of your first day, and a one-minute segment of your last day working on the exercise. 4. Include on the recording your name and your thoughts how the exercise worked for you. 5. E-Mail both recordings to me at aevens1@yahoo.com I will listen to each recording and give you feedback on your progress, in hopes you can continue to refine your sound and reach a higher level of brass playing. One person who submits will be chosen by random draw to receive free DCI merchandise! What could be better? Rewards for practicing! The contest begins today and all entries must be received by March 1. Happy practicing! 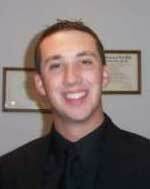 Aaron Evens is a brass instructor for Southwind. Aaron Evens' past columns: Articulations: The basics of a master So you made it, now what?